Living here, you can really live it up. Down to Earth living in Holland Heights. 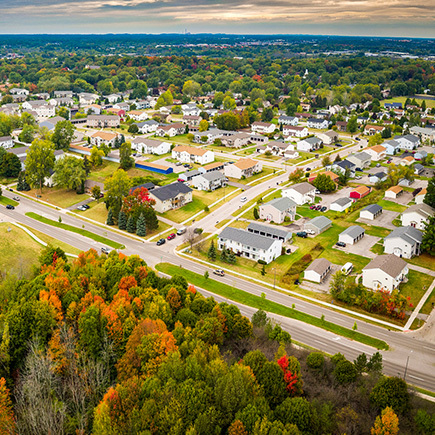 Across the highway and just up the hill, you’ll find a relaxing neighborhood known as Holland Heights. Any day of the week, it’s bustling with dog-walkers, joggers, speed walkers, ranch-style homes and eager, welcoming people. Holland Heights is also conveniently close to Holland’s major roads and surrounding highways. It’s just around the corner from big franchise stores and restaurants, and it’s only a few stoplights away from the lovable downtown. It’s a widely popular place to land for young professionals, couples, new families and, well, actually, just about everyone. Over the past 50 years, Holland Heights has welcomed young professionals, families, empty nesters and retirees alike. The shady streets and sidewalks of the Heights are lined with single-family homes of various shapes and sizes built between 1950 and 1990. Affordable apartment living with an active neighborhood group is available on the southeast edge of this quiet and comfortable area. A neat little nature town. Once home to a farm, orchard, peony fields and a dairy, Van Raalte Farm Park is located off 16th Street. 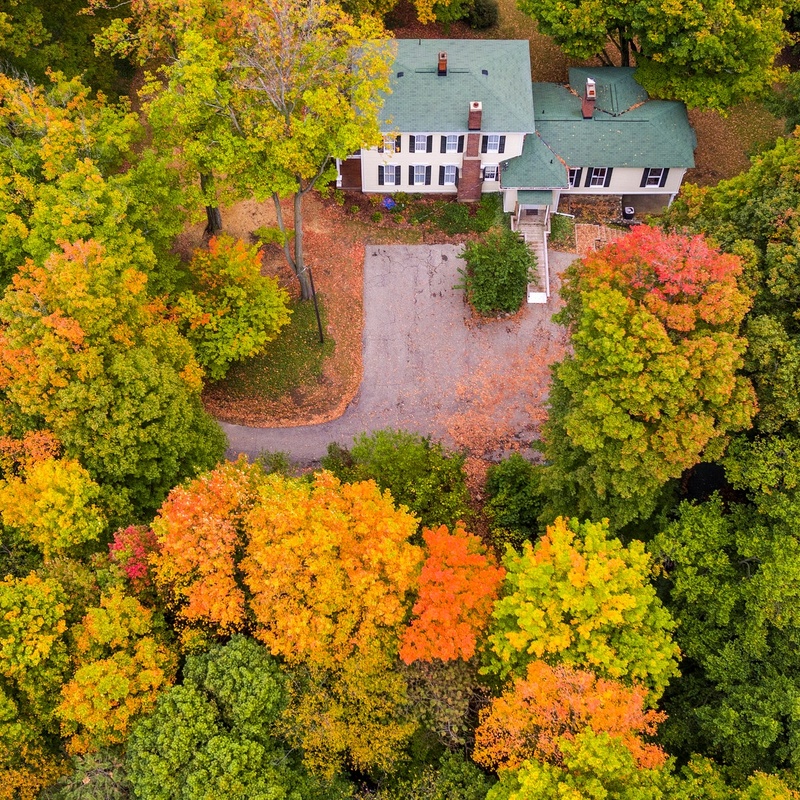 The historic 19th-century farmhouse resides on 160 acres of pure nature. The park offers nature trails, a sugar shack and one of the world’s greatest sledding hills. Located on the northern edge of the Holland Heights neighborhood, and home to 50 acres of wetlands, nature trails, fishing holes and picnic shelters, Paw Paw Preserve sits directly on the southern banks of the Black River, which makes it a great canoe launching point. Even better for canoeing, the Paw Paw Preserve is 80% covered by wetlands. Just across the street from Paw Paw Preserve, you’ll find Macatawa Green Space, a regional park and home to wetlands, nature trails and even a Frisbee golf course. Walk it. Run it. Bike it. Gaze out your window, and a minute won’t pass before you spot someone walking, running or biking by you. And if you’re training for a marathon or 25k, don’t worry, you don’t have to run in circles at Holland Heights. From here, you can easily run north, south and west for miles and miles. Well, until you hit Lake Michigan, 9 miles out. Around here, playtime is serious fun. When we tell you that Holland Heights is great for kids, we mean it. Just a couple blocks apart are two neighborhood parks, Holland Heights Park and Holland Heights School Park. Together they provide 13 acres of space for nothing but fun. Any given day you can stop by for a little playground action, enjoy a game of soccer, a tennis match, sand volleyball or meander down its many miles of walkways. A five-minute commute down Waverly Road will bring you to Holland’s Southside job center, home to Johnson Controls, Tiara Yachts and Haworth. To help you succeed in business, Grand Valley State University’s Meijer Campus and Davenport University’s Holland Campus, located just east of US31, offer daytime and evening classes. At its very furthest, it's a mere ten minutes to get to the rest of Holland. Five minutes. That's right. That's all it takes to get to West Michigan's major roads and highways. Not a day goes by in the summertime when you won't happen upon neighbors gathering for a friendly barbecue. Run. Walk. Bike. You name it, there are miles and miles of sidewalks and bike paths ready to be explored.